Today’s variable data printing is about color and price per impression. Designed for adding digital color printing to a web press, DDS’ iDataPrint™ H800WEB color inkjet solution produces high quality 600dpi variable data text and graphic images at speeds up to 800 fpm at a very low cost per impression. Combining Document Data Solutions advanced integrated web print controller and ink delivery system with proven HP C800 Print Module technology allows the user to add full CMYK color variable data, text and/or graphics where needed during the web press run. 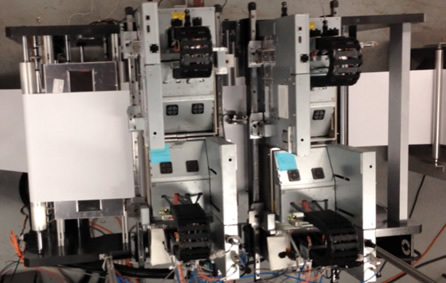 The iDataPrint™ H800WEB Print Module features automatic printhead servicing that manages purging and wiping of the printhead without the operator having to touch the printhead. Within the Print Module are four easy to change 4.25” print width printheads, one each for C,M,Y,K dye-based inks much like how you would replace your home inkjet print cartridges. 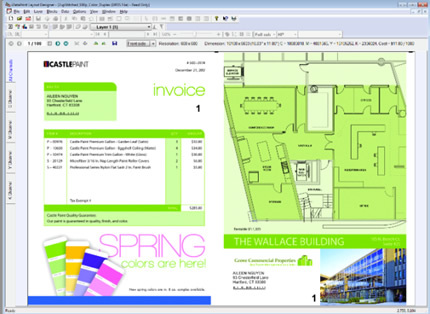 The HP designed Print Module makes for a compact solution for adding variable data text and graphics where you need. 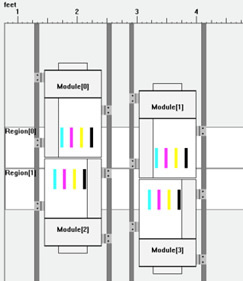 Multiple Print Modules can be stitched together depending on your needs. The iDataPrint™ Web Controller is where the magic begins. Document Data Solutions designed our controller to be a high performance, reliable and easy to use system for managing large and complex variable data print jobs. The space saving integrated controller incorporates the ink delivery system to make for a compact, easy to maneuver system. The controller communicates to the iDataPrint™ H800WEB Print Module through an IJPDS workflow or can print static tiff images.